Why choose Nuffield Health Cambridge Hospital for your liposuction treatment? When undergoing any cosmetic surgery at Nuffield Health Cambridge Hospital you will receive first class private medical care. Our experienced consultants specialise in carrying out liposuction treatment and regularly help patients lose that stubborn fat which doesn't seem to respond to more conventional dieting and exercise methods. 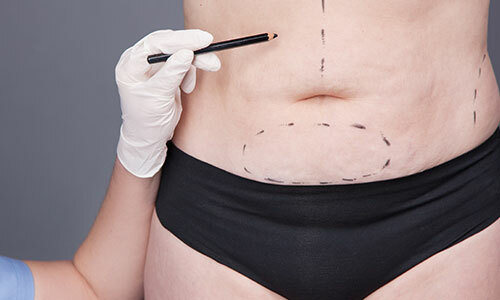 By choosing Nuffield Health Cambridge Hospital for your liposuction, you can rest assured that our highly experienced consultants will provide you with first-class care through a treatment plan individually tailored to you. To ensure that our quality healthcare is consistent throughout your journey, all of our consultants are fully supported by our attentive matron-led nursing team. Our nursing staff are accredited for their excellent hygiene standards, friendliness and dedication to ensuring your comfort during your stay. If you are unsure about whether to undertake liposuction treatment, or want some questions answered, you can find out more about the cosmetic benefits by speaking to our cosmetic experts. Give our enquiry team a call today on 01223370922 and arrange a consultation to discuss your personal circumstances and all the options available to you. What happens during liposuction at Nuffield Health Cambridge Hospital?